Hill of Tarvit was originally known as Wemyss Hall. In 1904, the new owner, Frederick Sharp, commissioned architect Robert Lorimer to transform the 17th-century house into a modern 20th-century mansion to display his amazing collection of fine art, porcelain and many other items. When the Sharp family moved into Hill of Tarvit, they had electricity, telephones connecting each room and central heating. Lorimer also designed the landscaped gardens, with formal lawns, yew hedging, flowering borders and a sunken rose garden. The Sharps then built a 9 hole golf course to fulfil their passion for golf. Sorry, but we have no upcoming events for Hill Of Tarvit Mansion and Gardens. 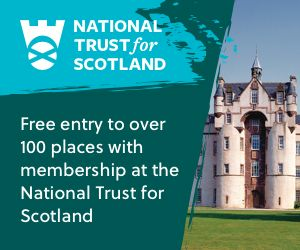 If you know of an event taking place at Hill Of Tarvit Mansion and Gardens or anywhere else in Fife tell us about it and we'll list it on the website, for free!